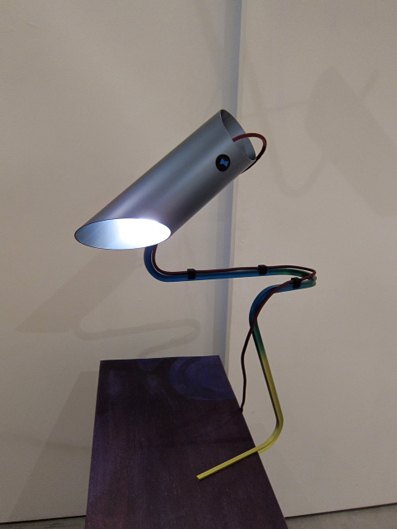 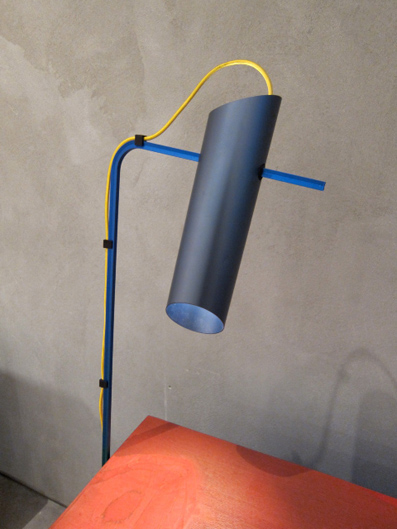 DesignApplause | Composizioni lamp. 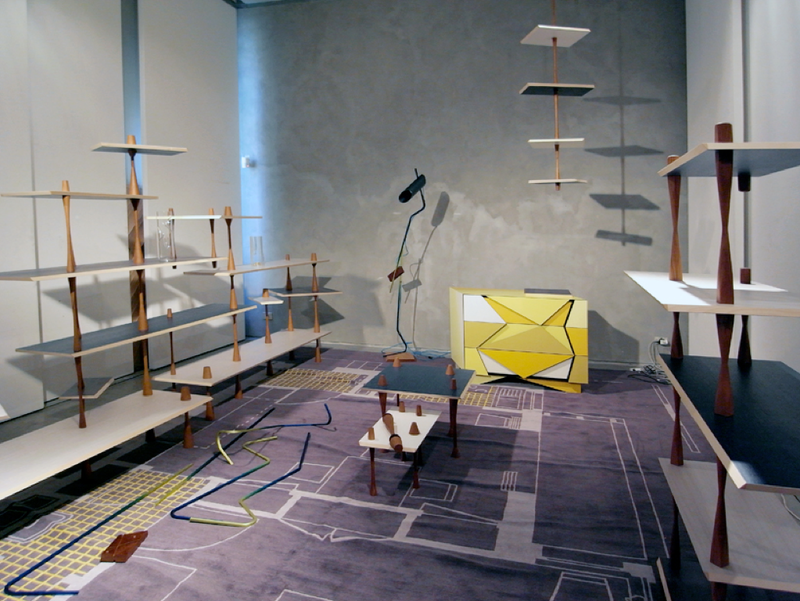 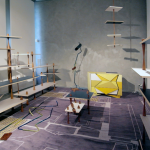 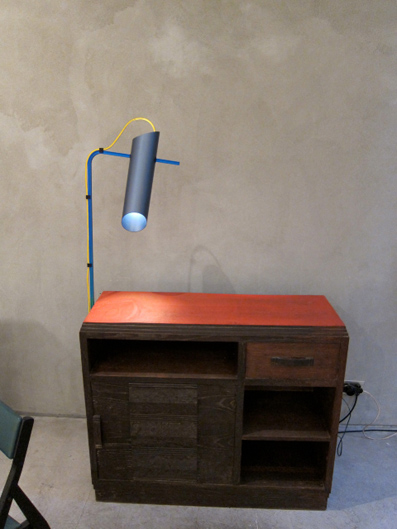 Martino gamper. 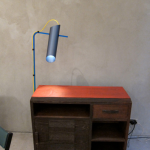 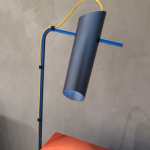 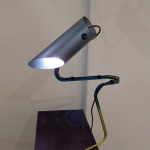 Composed of hand-and-industrial-made components constructed from metal, wood and leather, this deconstructed lamp, combined with a salvaged table, was part of a site-specific installation entitled “Composizioni” by London-based designed Martino Gamper.